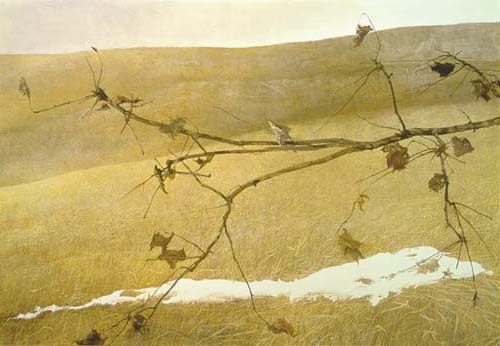 Related – posts about Wyeth’s art at Art News Blog and orDover. Also, the Wikipedia entry on Wyeth is worth a read – I didn’t know that Wyeth was often referenced in Peanuts! Tomorrow is the day we leave this town. In the past year here I have grown to really appreciate the pace of life here. My daughter roamed freely about the common backyard area and knew all our neighbors by name; I could leave my house unlocked and my garage open without fear, and everything was 5 minutes away from everything else. Plus, there’s a raw beauty to central Wisconsin that I don’t think I’ve seen anywhere else, a simple yet dignified beauty that was solidly rooted in the land and the soil. I will definitely miss this place, and I somehow doubt that i will ever be back. Tomorrow, we move to the Madison area. The excitement of returning to Madison is of course a separate channel entirely from my sentiment at leaving Marshfield behind. In a week’s time, our normal will be renormalized. I intend to embrace madison again and make sure that both my daughters get as much benefit as possible from our (lengthier) sojurn there. Incidentally, Meteorological Spring begins March 1st. Humbug. Another 365 days, another sol under my belt. I’m no longer in my early 30s, I’m now in my early mid-30s. I’ve decided to twitter the day so as to have some documentation to look back on years from now, when remembering that crazy year in Marshfield. If I can’t be narcissistic today of all days, then when? You may have noticed that I didn’t have much to say from last Saturday to Wednesday; this is because we had gone to San Antonio for my wife to attend the AAD conference. It was unbelievably gorgeous Texas ill country weather down there. I spent 9 years in Houston, recall, and there February was indeed pleasant, but San Antonio has all of that without the humidity. It went as high as 85 degrees, which was ideal for the Riverwalk or the Zoo. We even had to use sunscreen (my wife is a dermatologist after all). Today, in Marshfield WI, it’s 15 degrees Farenheit. Below zero. And still dropping. It occurs to me that the inverse scenario, comparing temperatures in summer, would not have nearly the same delta. Now, I know that in Houston we had the occasional 100+ degree day, but a more rigorous analysis should really use monthly averages. For Houston, the coldest month is January (41.2 F overnight) and warmest is July (93.6 F daytime). In San Antonio, its January (38.6 F) and August (94.7 F). I couldn’t find comparable data for Marshfield, but for Madison the coldest month is January (9.3 F) and warmest is July (82.1 F). So, just using these average monthly temperatures, we see that the delta in winter is about 30 degrees whereas the delta in summer is about 12 degrees. Obviously, my perceived delta was much higher because the daily temperature is far more variable than the average, but even so it’s intriguing that even with average temperatures, the delta is about 3x higher in winter than in summer. Is there a point to any of this? I have no idea. 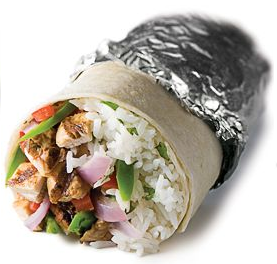 In other news, starving people tend to think about food a lot. And there’s no way I’m shoveling the driveway today. I’d rather do it midweek at 5am than go out there right now.